If you love jalapenos, you might consider learning to make and can spicy jalapeno jelly. Can spicy jalapeno jelly if you have an overabundance of jalapenos in your kitchen. It can happen so easily. 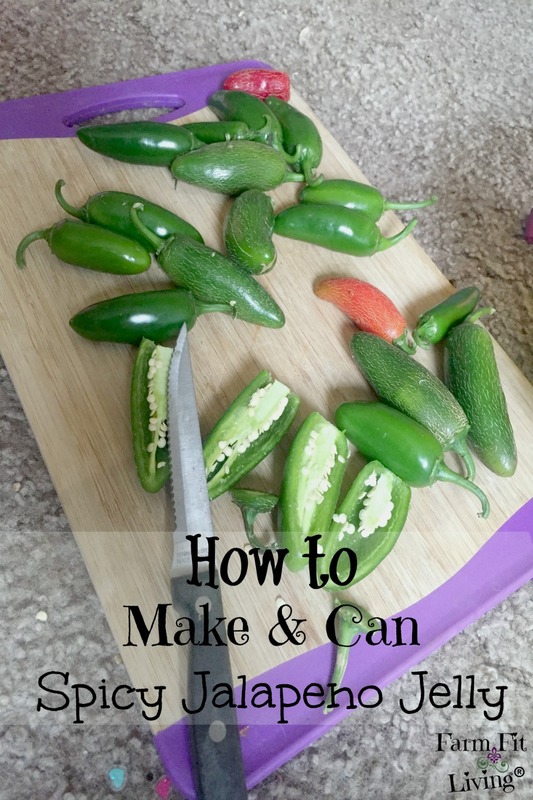 Growing jalapenos is a pretty simple task. Using up and preserving jalapenos is a little bit more difficult because they are so easy to accumulate. But it sure doesn’t have to be. There are numerous ways to preserve jalapenos. And one interesting way to preserve jalapenos is to make and can spicy jalapeno jelly. So, spicy jalapeno jelly isn’t really THAT spicy. If you are disappointed in the level of kick, you can variate this recipe a little bit. To increase that kick, leave some seeds in. That’ll do it. Or, you can also add in some herbs, such as mint, when cooking the jelly. Another option is to infuse fruit flavor, such as blueberry. This jalapeno jelly is a fun recipe to make and there’s many options you can play around with to make it your own. Don’t be afraid to try something new with your jalapenos. So, here’s the recipe to make and can spicy jalapeno jelly according to the recipe in the infamous Ball Blue Canning Cookbook. Waterbath Canning Kit – Includes canner, jar gripper, wire rack, funnel and more. First of all, the jalapeno peppers need to be washed. Then, remove stems and seeds. You may want to wear some gloves when working with the fresh jalapenos. Because if you accidentally rub your nose or eyes, you could irritate them. After your peppers are prepped, you’ll want to puree’ them with 1 Cup of the cider vinegar in a food processor or blender. Next, combine the puree in a large pot with 1 Cup cider vinegar and all of the sugar. Bring the mixture to a boil for 10 minutes. And make sure to stir constantly to prevent sticking. Then, remove from heat and use a spoon to skim any foam that may have gathered at the top of the mixture. Finally, add some green food coloring to achieve the color you desire. Think Grinch green and you’ve got it! Now the mixture is complete! Let the canning process begin! ** Read More Here To Troubleshoot Canning Problems You Might Have During Or After The Canning Process. 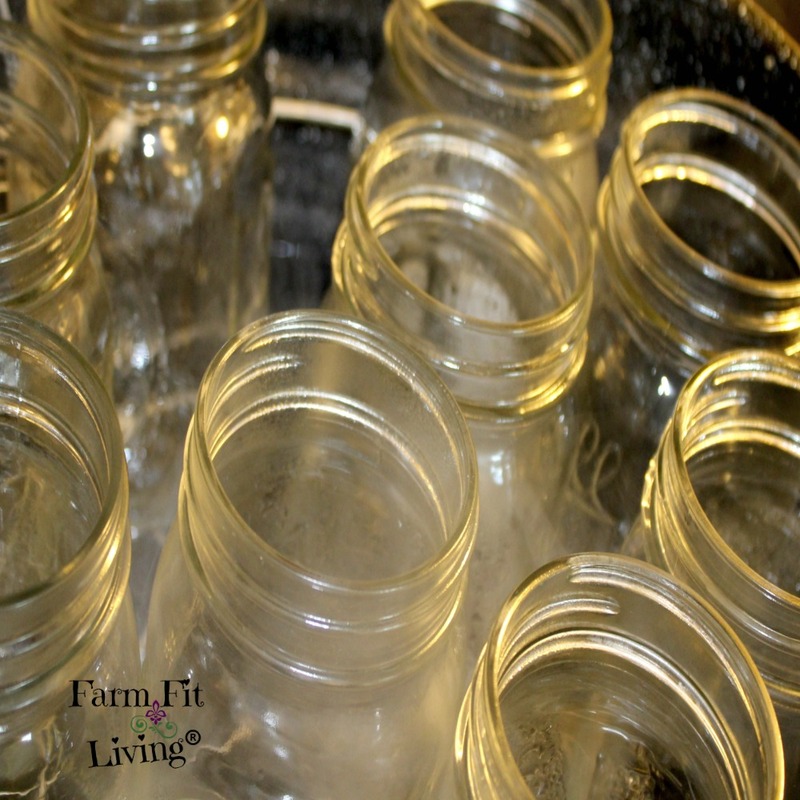 First of all, you’ll want to prepare your jars by washing and drying them completely. Next, heat the jars. I like to place them on the rack in the water bath canner as the water is heating up. Then, place your funnel at the top of a jar. Ladle hot jalapeno jelly mixture into the jar. Be sure to leave 1/4 inch head space, or 1/4 inch from the top of the jar. Skim off any excess foam you may have missed before. Wipe jars completely with wet cloth or paper towel. Place lids and bands on the tops and hand tighten them securely. Finally, process for 10 minutes in the water bath canner. I like to place the jars completely into the water and wait until the water is at a rolling boil. Then, I set the timer. And when the processing is complete, use the jar gripper to set the jars out onto a towel to cool down. As they are cooling, you can listen for the popping noise of the jars sealing. It’s a beautiful sound! So, now you know how to can spicy jalapeno jelly. You need a few ingredients and jalapenos to get you started. 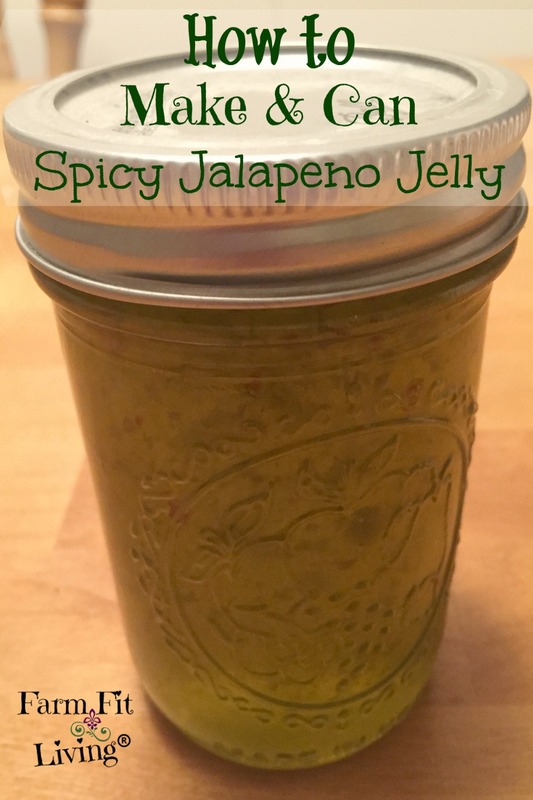 I encourage you to try growing your own jalapenos to make and can spicy jalapeno jelly. Because growing your own jalapenos is so easy. Here’s some quick information about growing your own jalapenos. The good thing about growing jalapenos is that you can grow them anywhere. You can grow them in a garden or in a container. All they need is good soil, water, and sunlight. Jalapenos grow the best when transplanted as plants in mid spring after the danger of frost has passed. In my gardening zone (Zone 6), I plant my jalapeno plants in the middle of May. Make sure the plants get plenty of water early on. Especially if there is a dry spell for more than two days. Baby plants need plenty of water to thrive and grow. Remember that good healthy plants will be quality producers during the peak harvest season. So treat your plants right with the best care possible. Fertilize as necessary. Use insect control if you need to. Make sure to identify the insect causing the problem before you decide what product to use. Especially if you have bee hives nearby! About 60-75 days later, the plants will begin to bloom and produce baby jalapenos. Watch the babies grow to a medium sized small bright green pepper. That is when you know your pepper is ready to be picked. Also, keep your plants picked regularly to promote new blooms and baby peppers. The plants will continue to produce peppers for two to three months or until the first frost occurs. By that time you will have had a great abundance of beautiful spicy jalapeno peppers to enjoy. So, what do you look for in a quality jalapeno pepper? I’ve learned about choosing a quality pepper by exhibiting my best jalapenos at the local county fair. 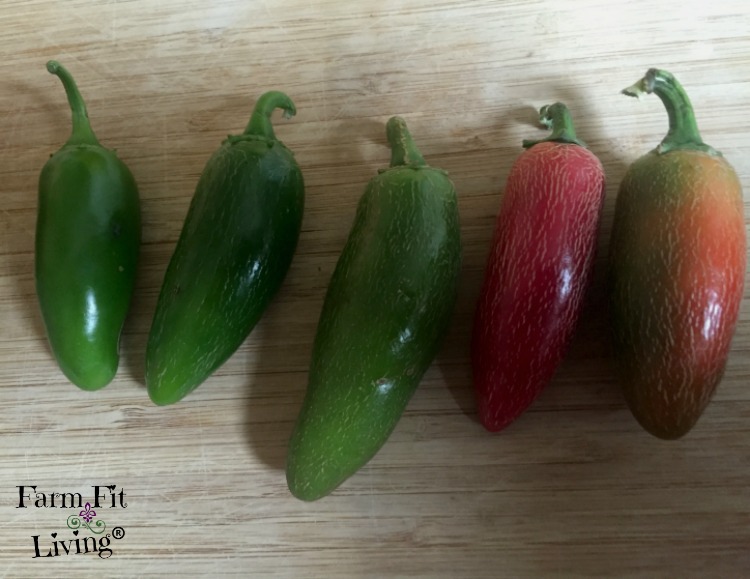 Here’s a few things I’ve learned about finding the right jalapeno peppers. Well, you want the pepper to be the right age of maturity. So, the pepper needs to be a nice dark green color. If the pepper is red, it’s still ok to use. But if the pepper it brown, it’s getting pretty old at that point. The next point to consider is the size of the jalapeno. A medium to large sized jalapeno is best. You should definitely leave small ones out on the plant to grow a little bit more. Finally, choose nice and clean peppers. The peppers should be free of bug spots or worms. And if you have to pick infected peppers, you can just cut off those spots and discard them. Don’t use the yucky parts in your jelly. I like to throw them out to our pigs. And the rest of the pepper is just fine and dandy for eating and jelly making. Well, by now you might be wondering how in the world to consume this interesting jalapeno product. After discussing this very topic with different people who love it, I’ve concluded the most popular way most people enjoy jalapeno jelly is as a dip. Yes! A dip! Mix it with your choice of cream cheese for dipping vegetables and crackers. And it will make a fun and delicious appetizer for any football tailgate, holiday party, harvest meal or any other get together. A dip is the most popular way to consume jalapeno jelly. But, it’s not the only way. You could also spread it on toast or corn bread for a little extra kick. Also, jalapeno jelly is not the only way to preserve jalapenos. Check out these other ways I preserve all of the jalapeno peppers I gather from my productive plants. I puree and freeze them in ice cube trays. Then, I pop them out and store them in freezer bags for safe keeping. Eating them fresh – We love poppers! I also love to share jalapenos with others who can’t or don’t grow the plants themselves. I am happy to share peppers because I want friends and neighbors to enjoy the bounty as well. And I also have trouble using up the oversupply of peppers that I get. It seems like once I get the peppers preserved during peak season, there are more little ones already growing and maturing. They come on so fast and I’m not always ready for more preserving. So, sharing peppers with other people is the next best option for preserving jalapeno peppers. There are many more possibilities for preserving jalapenos. Don’t be afraid of trying new things with them or any produce. You might find a new niche to fill for your business or gifts to give during the holidays. While this may have originally been a unique way to preserve jalapenos to me, I have found that many people I know have enjoyed jalapeno jelly. So, I tried it as well and loved the results. It makes a delicious appetizer before any meal. I’m looking forward to not only making it again, but sharing it at holiday family and friend get togethers this coming Fall and Winter. How do you preserve jalapenos? This sounds so awesome! I love jalapenos and I’d have never even thought of doing this. Thanks for sharing! Awesome, Hannah! I hope you are able to try it!